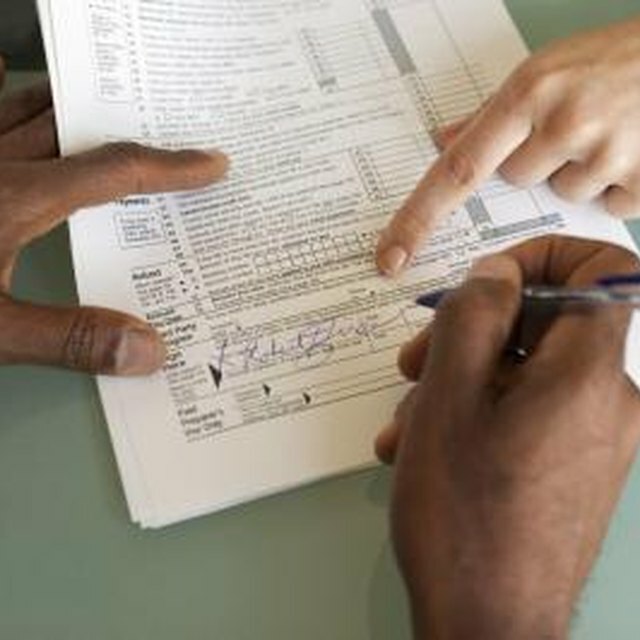 Each year, individuals meeting certain income requirements must file Form 1040 U.S. Individual Income Tax Return. Single individuals under 65 who make more than $9,350 and singles over 65 years old who make more than $10,750 must file income taxes. Income limits are slightly higher for married individuals. In some cases, there are several forms that may need to be filed with your 1040. One of the forms you will attach to your 1040 is your W-2 Wage and Tax Statement from your employers. In addition, if any taxes are withheld from gambling winnings, attach your W-2G that reports your income from gambling. If you receive any corrected W-2 forms or W-2C, then these should also be attached to your return. Form 1040-V is a payment voucher and should be filed if you owe tax money to the government. Payments should be made in the form of check or money order made out to United States Treasury. A Schedule EIC must be filed if you have a qualifying child and are claiming the Earned Income Credit. This form provides the IRS with information about the children you are claiming, including their Social Security numbers and how long they lived with you during the year. What Happens If I Send My Tax Return Late? If you owe taxes, but cannot pay the full amount by the time the taxes are due, you have two options. You may file Form 1127 with your 1040 to request an extension. The IRS may grant you an extension for up to six months. Or you may file Form 9465 to request an installment plan. If approved, you will be able to break up the tax amount into monthly payments for up to 60 months. You will be required to pay interest on this plan. Form 2439 Notice to Shareholder of Undistributed Long-Term Capital Gains must be filed with your 1040 if applicable. This form reports undistributed capital gains from a regulated investment company or a real estate investment trust. If you receive income or distributions from an individual retirement account, pension or retirement plan, you will receive a record of this income on Form 1099-R. This form should be attached to the 1040 with your W-2 forms.